As a candidate for political office you need to have an online presence. You must have a website, a Facebook page, and an email campaign. You may also be on Twitter. If you choose to use Twitter as one of your campaign messaging tools, then you need to use it properly. Twitter should never replace direct mail, going door to door, or even your Facebook page. Twitter is simply a tool that compliments your other messaging activities. With that out of the way, here’s seven things you need to know when using Twitter for your campaign. I have always told my candidates that whenever they talk to a reporter or attend a forum, that the dumbest thing they say will be what gets repeated. If you have 30 minutes of oratory genius, but have 5 seconds where you’re off message or misspeak, it’s those 5 seconds that get remembered. This is even more true with social media and Twitter today. You may send out 1,000 on point messages on Twitter, but if you tweet the wrong thing just once, your opponents will jump on that. This frequently happens when a candidate is agitated or tired or both. If you’re in such a state then put away your smart phone, turn off your computer, and stay off of all social media. Bill Clinton once stated that his biggest mistakes coincided with the times when he needed sleep. Regardless of your physical, mental, or emotional state, always pause before publishing a tweet. Read over what you’ve typed carefully. Ask yourself if what you’re about to post could be misconstrued in any way that could harm your campaign. If the answer is even close to being a yes, either reword the Tweet or don’t send it at all. Social media platforms like Twitter are supposed to be places where people can be social. We all know it doesn’t work that way. Most of the time people simply use only the platform aspect. They utilize Twitter like an old fashioned soap box, shouting their message as loud as possible, hoping someone will hear it. Twitter does have a role in such endeavors. It’s a great place to get one’s message out and share press releases. But there should also be engagement. You need to be talking to your followers and responding to questions and comments posed to you. If you don’t do that people will think you’re unengaged or uninterested. That’s not a reputation you want to have if you’re serious about winning your election. I’ve often struggled with knowing how much is too much and little is too little on Twitter. It turns out that more is better because it helps raise your profile and drive engagement. I’ve been doing this Twitter posting test multiple times, but with testing things over time. So we recently did a test over a period of one week. During this test, we decided that hey, let’s only post once per day. When we did this during the seven-day period, we averaged 749 visitors for that whole week. It’s not too bad. Then we decided to do a test where we started posting 40 times per day. I know that’s crazy and insane. I kid you not, 40 times! Now, the traffic didn’t grow by 40 times, but it did go up. The traffic from Twitter went up from 749 to 5,623. The only difference was, posting once a day, to posting 40 times a day. So if you’re wondering how many times you should be posting on Twitter, well it’s however much content that you have to post. If you only have enough content to post once or twice a day, that’s fine. You can post other status updates, photos, whatever it may be. But ideally, shoot for posting on Twitter at least 10 times per day. Given Neil’s marketing success, I do recommend you follow his advice and try to tweet at least 1o times per day. And don’t worry about all of your tweets being original. You should send out the same tweet at different times and on different days to give it maximum exposure. Now that I’ve told you to tweet at least 10 times a day I also need to temper you. Don’t go on Twitter at a set time every day and simply knock at 10 tweets all at once. That’s not going to do you any good. Not all of your followers will be on at the same time. The easiest way to space out your tweets is with an app called Buffer. Buffer allows you to schedule your tweets, as well as other social media posts, at selected times through out the day. You can also schedule for the weeks and months ahead if necessary. Buffer is an awesome tool, especially with Twitter, as it allows you to easily space your tweets out over a period of time. I use Buffer for The Campaign School to keep its Twitter account full of articles and advice at all times. There are different plans that Buffer offers, including a free one that I suggest you try out. Since you need to send multiple tweets daily and don’t want to send them all at once, when should you be tweeting? The answer is when your followers are most engaged. But how do you know when your followers are active on Twitter? There’s another tool you can use called Followerwonk. Followerwonk is an app by Moz that integrates with your Twitter account and analyzes who’s following you and who you’re following. From this you can find out what times of the day your followers are using Twitter the most. That analysis will give you an hour by hour breakdown of your followers Twitter activity. With that information in hand, you can then program your Buffer schedule to overlap with your Twitter followers routines. As with Buffer, there are different plans for Followerwonk, but the free plan will help you see when your followers are on Twitter. Too many regular folks stop acting like regular folks when they decide to run for office. Granted, as a candidate you’re always on to some degree. 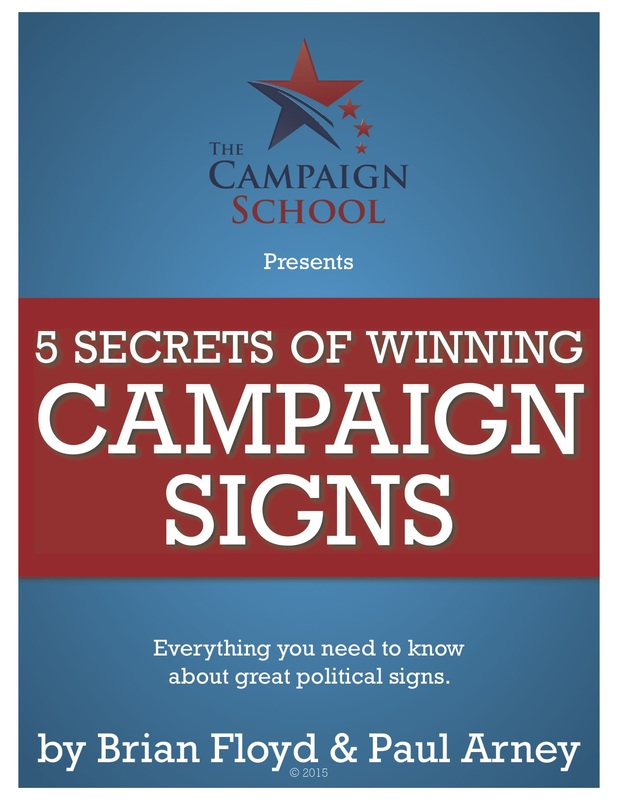 But that doesn’t mean you have to always be in active campaign mode. It turns voters off in so many ways. That’s why I always tell my candidate to never campaign on Mother’s Day or Super Bowl Sunday. The voters want you to be a normal person they can relate to on a personal level. They don’t want you to be a non-stop political machine version of the Terminator relentlessly hunting for votes. Use Twitter and your social media platforms to show them that there’s more to you than politics. Tweet about the movies or TV shows you watch, root for your favorite sports team, share things about your family or even what you’re eating. In other words, tweet about things that other people not running for office will also be tweeting about. It will not only help you get your 10 tweets a day done, but it’ll help you connect on a personal level with your followers. Now that you’re all geared up to start using Twitter for your campaign like a Kardashian, I have some tough Twitter love for you. I have never seen Twitter help any candidate win an election. Even Donald Trump. Twitter isn’t what made Mr. Trump the 45th President of these United States. Hillary Clinton’s campaign imploded and how Trump was able to connect with voters to win the Electoral College. It had nothing to do with Twitter. It was the media’s coverage of Mr. Trump’s often caustic and controversial tweets that helped broadcast his message. Had these news outlets chosen to ignore his tweets, they would have been like a tree falling in the forest with no one around. However, the media is always interested in using a candidates words against them, so Mr. Trump’s tweets were turned into news stories. They turned off enough voters to keep him from winning the popular vote, but not enough to prevent him from winning the Electoral College. Don’t go thinking such a good break is going to happen for you. If you tweet out something rude, offensive, nonsensical, stupid or otherwise the press and your opponents will use it against you. But unlike Mr. Trump, it will likely hurt your campaign and damage your chances of winning. Always remember the first tip on this list: Think Twice Before You Tweet. If you do that, follow the other tips, and know that Twitter won’t help you win, then I’m sure you’ll use it well for your campaign — if you decide to use Twitter at all.